An extensive experimental study was performed to compare the measurement capabilities within different ranges of two total suction measurement equipment: SMI transistor psychrometers and a chilled-mirror dew-point psychrometer (WP4 Dewpoint PotentiaMeter). 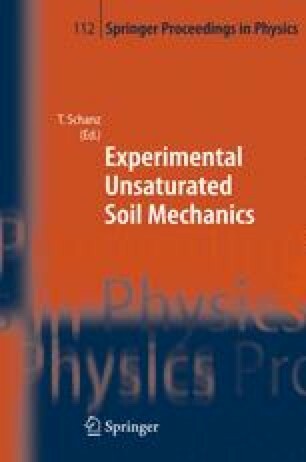 The equipment were used in a systematic way to determine the relative humidity of the environment surrounding different compacted clayey soils along drying paths and covering a wide total suction range (0.1 to 70 MPa). The equipment description and the calibration protocols followed are presented, as well as suggestions regarding the improvement of their performance. The water retention curves of two different compacted clayey soils are presented and commented by taking into account the corrections proposed for the readings. A possible explanation for differences in the measurements observed between both instruments in the high suction range is presented in terms of the hydraulic paths undergone by the soils during the measurement period.